No Bids On Teresa Giudice's Rental Property At Foreclosure Auction! Teresa Giudice’s Rental Property Gets No Bids In Foreclosure Auction! Owning a home that was once in possession of Teresa Giudice is apparently not a big draw to buyers on the New Jersey foreclosure auction circuit! Teresa and Joe Giudice‘s Lincoln Park home, which they owned as a rental property, was auctioned off this week and even with the bidding beginning well below estimated value, there were no takers! This is just the latest in the very VERY long string of troubling financial situations for the Real Housewives Of New Jersey star whose husband just began a 41 month sentence for fraud. Teresa and Joe owed $225,742 on the home when foreclosure proceedings began, but NJ.com reports that the lenders would be willing to accept at minimum $123,000 for the 3-bedroom, 1-bath home. Unfortunately for the bank, not a soul placed a bid and so the lenders bought the home back from the auction block for $100. The Giudice Jersey Shore house also hit the auction block last summer and failed to sell. Teresa and Joe have also battled reoccurring foreclosure proceedings on their Montville mansion, which last year they tried to sell for $3 million. TELL US – ARE YOU SURPRISED NO ONE WANTS TO BUY TERESA’S RENTAL PROPERTY. 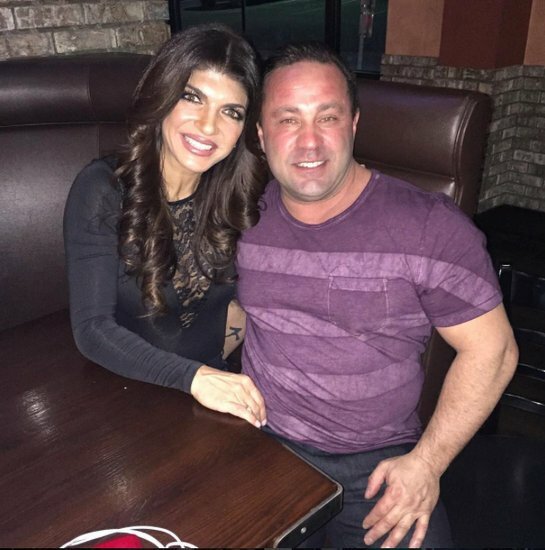 Update From Fort Dix: Teresa Giudice Not Yet Approved To Visit Joe Giudice; Was Apollo Nida Moved To Maximum Security?